Girija Sankar and Luis Pabón Quintero are two of the individuals working toward trachoma elimination. Sankar’s organization, the International Trachoma Initiative (ITI), partners closely with Pfizer Inc., the manufacturer of the antibiotic, to manage the distribution of Pfizer’s donated antibiotics. Quintero, who works in Pfizer’s manufacturing plant in Puerto Rico, oversees the packaging of the antibiotic. 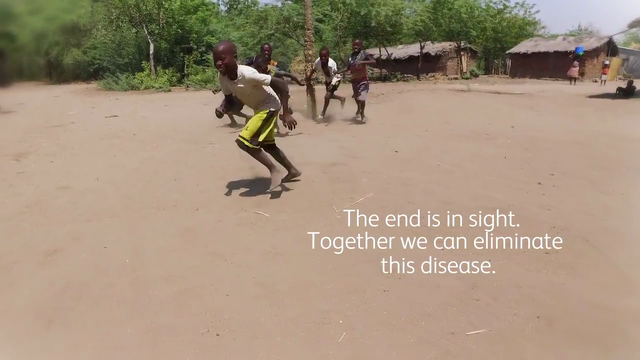 “If I could talk to someone with trachoma, I’d tell them not to give up, that we are all in this battle together,” he says. Cross-sector partnerships such as the one between ITI and Pfizer are vital to ensuring the 182 million people still at risk of trachoma receive the care and treatment they need. By combining the efforts of individuals working for governments, the pharmaceutical industry, civil society, philanthropic organizations and other entities, we can achieve a world without this debilitating disease.